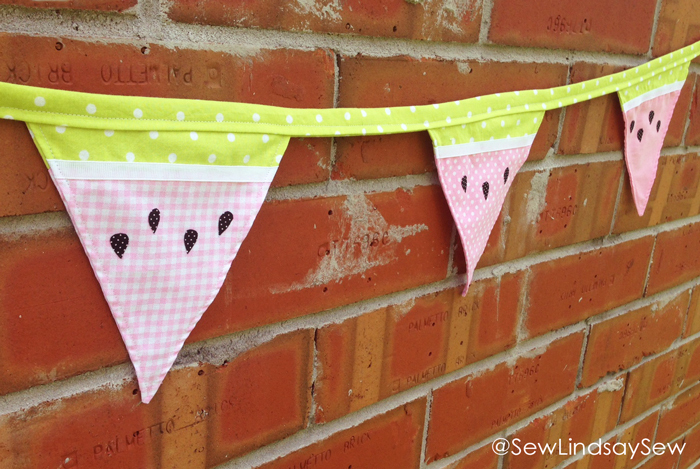 Finally-Finished-It Friday: Summertime Watermelon Bunting | Sew Lindsay, Sew! I used a variety of pink fabrics I had leftover from a yet-to-be-blogged-about baby quilt – gingham, polka dots and solid. The green was leftover from the infamous Elephants and Mustaches baby quilt. 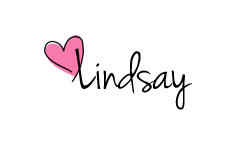 I love the idea of having bunting for every season – or, even better, twelve months of bunting! Maybe I’ll get there someday. 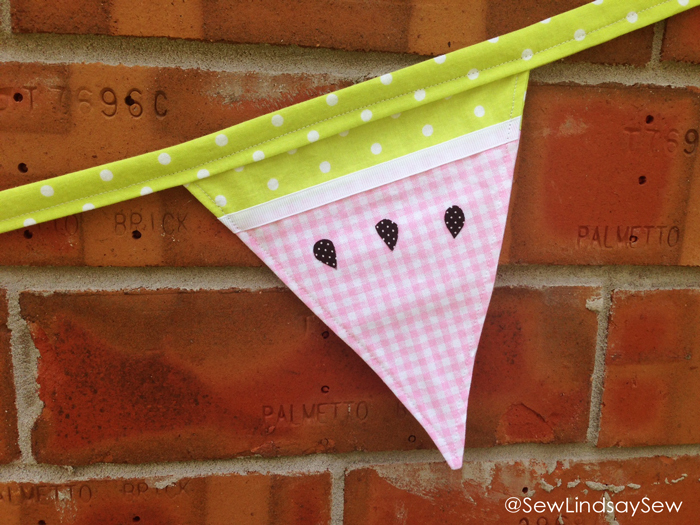 But for now, I can enjoy this sweet watermelon bunting for the rest of the summer. Any ideas for a September-themed bunting? I’ll need a replacement between watermelon season and candy corn season! Sept should be football bunting!! Thanks Dad, I will make two – one for me and one for you! Love it! I like your mom’s idea, too – Back to school – maybe the tips of #2 pencils! !